For nine years, Charles E. Edwards, Republican candidate for clerk, has been in business in Danville and has taken an active interest in all public questions, has stood as a man among men, clean in every relation of life, a factor in business, social and church affairs of the town and community. Naturally these elements have contributed to make his a strong personality and he is regarded as one of the best runners on the ticket. 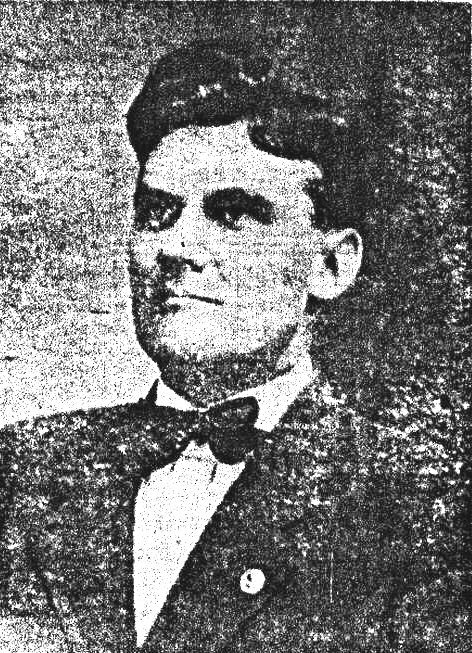 He is a native of Clay township and was born Aug. 29, 1871, on a farm where his boyhood days were spent, working in the summer and attending the district school in the winter. He finished his common school education in the Coatesville schools and later, attended the State Normal and the Central Normal College. During the three years from 1894 to 1897, he taught in Coatesville and then entered the store of his father-in-law, at Coatesville, and has since continued in mercantile pursuits. The only office he has held is that of school trustee in Danville where he is serving his second term and he is known as a faithful, careful official, he being entitled to his full measure of credit for aiding in the forward movement of the Danville school which has resulted in their presence high standing. The same industry and painstaking attention to details which has marked his life he will take with him into the clerk's office and he will prove to be another of the splendid officials of Hendricks county.